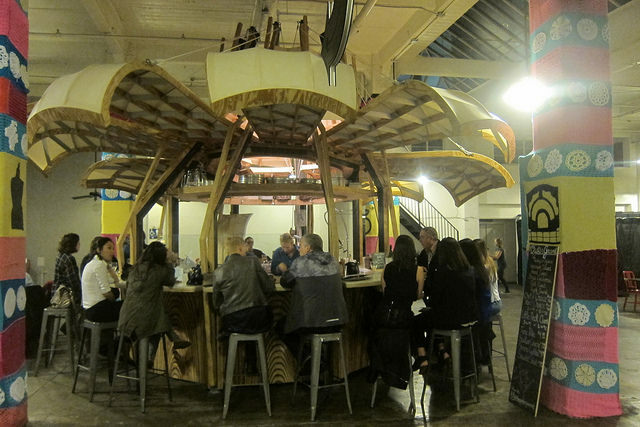 Grand Central Market welcomed a new stand to its midst late last year. The Oyster Gourmet “bloomed” near the Hill Street entrance with its round stand. When the awnings are up, everyone crowds around for oysters and fresh seafood. We decided to check out GCM one night for game night on Thursdays. We managed to snag a few seats at the delightful stand and started on dinner number one. 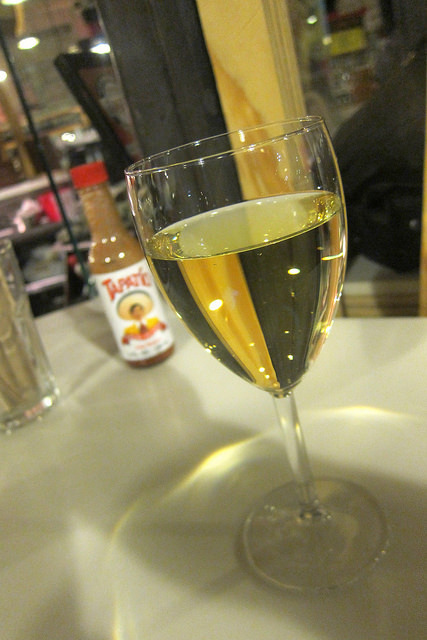 With a glass of Sauv Blanc in hand, we overheard there was one last order of tuna poke left. Well, that must be a sign. We got that and half a dozen oysters before having a look at what dinner number two would be. The tuna poke is very popular. I’m glad we got the last order of the evening. 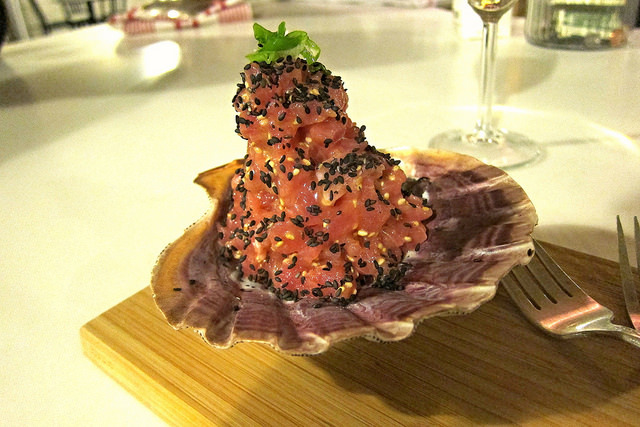 It was super fresh and reminded me why only good tuna would do– it has so much more flavor. Lucky for us, a half dozen meant a couple extra thrown in. 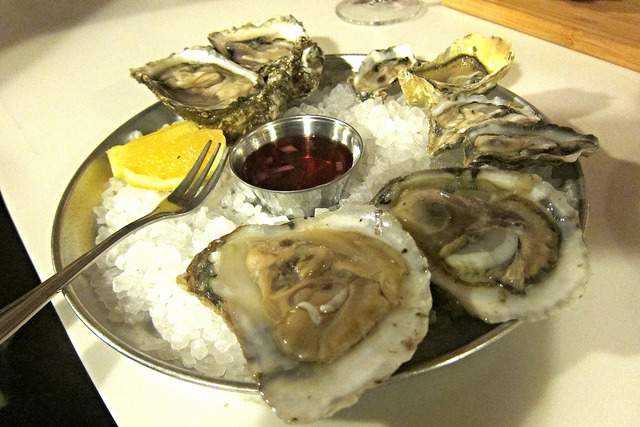 I generally like smaller, West Coast oysters but the medium sized ones were probably my favorite of the evening. I can’t wait to go back to try more– I hear the clam chowder is excellent. The Oyster Gourmet is a natural for appetizers before your second dinner (we opted for Belcampo this time around).